Owing to the fall in prices and a rise in accessibility, Closed Circuit Televisions have gained much popularity of late. This is especially true of residential complexes and private properties. As the reader might already know, these security systems are commonly referred to by the abbreviation, CCTV. In case you are unaware, a CCTV is a system to multiple cameras connected to a central monitoring hub. These cameras are installed at various strategic points within the property. The recorded images are streamed live to the screens in the control room. 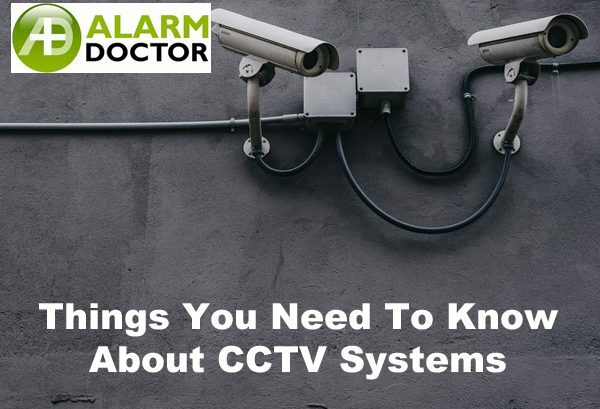 Now, in case you are planning to get a CCTV system installed, you’d rather be aware of certain things. First thing first, do proper research before buying and seek professional help. There’s no point in saving money in this regard as it is very much likely to boomerang on you. So, here are 5 things that you must know about the CCTV. You can obviously set up your CCTV system all by yourself. Yet, you absolutely should not do that. We know it’ll save you a lot of money and all, but, trust us on this, it won’t be worth it. A CCTV can give you mental peace only when it’s professionally installed without any flaws. For that, you’ll need professional, experienced technicians who are experts in this field and who know their jobs. Now, that’s what we are here for. 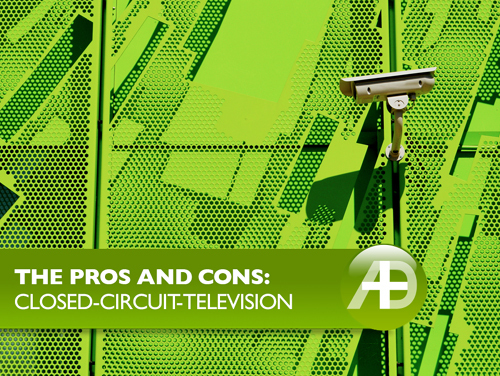 Broadly speaking, CCTVs are of two types, depending on their installation procedure. They may be hardwired or wireless. At present, only low-quality wireless systems are available. We don’t recommend these types and stick to the traditional, wired ones. The camera type is decided on the basis of the household’s requirements. Sometimes, we use classic analogue cameras, with coax technology. For others, we use the latest megapixel IP cameras with Cat-6. If you need the highest quality, we provide you with Mobotix IP cameras. After all, nothing makes sense if you can’t actually see anything that the cameras are showing you. Avoid cheap cameras which produce very low-quality, unclear images. In this regard, you must think qualitatively and not quantitatively. In order to get optimum results from your CCTV system, you have to make sure that the cameras are strategically placed. They have to cover the major areas, while themselves remaining out of sight. Moreover, DO NOT place CCTV in private zones, like toilets. It’s illegal. If you truly care about your security, investing in a good quality CCTV system is crucial for you. And the best part is that you won’t regret spending your money on it. CCTV Cameras have saved countless lives and prevented more crimes than you can shake a stick at – and that’s an understatement. While that might be the case, a lot of people regard them as “evil” or “malicious,” most likely thanks to conspirers and Hollywood drama… nobody likes the idea of a surveillance state, after all! Okay, we see your point – you just spent a pretty penny on your new place and you like the way it looks, fair enough. With all of that being said, let’s consider the Watermaid Beehive arson that took place in February, and how CCTV was able to record footage of the three offenders for the police to further their enquiries. The hives had been attacked before, in September of last year, following which the Romer family had CCTV installed to help ID the culprits, should they strike again. During the second attack, in February of this year, the CCTV cameras installed at the family firm were able to capture footage of the offenders in action. However, given their distance from the cameras and the low light conditions, gaining a positive ID straight away has proved to be an issue. With that, Alarm Doctor was tasked with performing a CCTV upgrade across the Watermaid exterior, improving the definition in the cameras, increasing their light sensitivity, depth of field and clarity, as well as re-adjusting their fixtures to cater to a larger field of view. 3 Protects your home or offices 24 hours a day, 7 days a week. 3 Installations can be tricky for the untrained. That’s 7:3 in the Pro:Con ratio… not too shabby! 1 Your home or office looks really pretty. 1 Your home or office looks like a target. 4 One less thing to insure, maintain and check. 4 Your insurance might not cover your losses if you get burgled. 6 The police will be at your property for less time after an incident 6 The police will have less evidence to go on, giving the criminals a better chance. Six for six, well the Pros did better than we expected there, but hey, the ratio is way worse – 6:6 for not installing CCTV and 7:3 for installing CCTV – The figures speak for themselves. I want CCTV Installed at my property. Where do I start? If you’d like to go ahead and have some top-notch security installed at your home or offices, we’re ready and available whenever you are. Our technicians are fully equipped to handle any and all aspects of the installation, taking the greatest care to ensure the highest standards in workmanship and expertise. We take great pride in our levels of care and attention to detail – it’s why we’ve got a 5-star rating across both our Facebook and Google reviews. Don’t forget to check our Facebook page for the latest deals, giveaways and promotions. If you’ve recently had CCTV installed but you’re not happy with the quality you’re seeing on the other end, give us a shout and we’ll be able to guide you as to what improvements you could make and where to make them while keeping budget in mind. We service both private and commercial customers across New South Wales, aiming to provide a memorable yet quick and cost-effective alarm and security service that does what it says on the tin. Alarm Doctor – Any Age, Any Make, Any Model. Reach out to us online by clicking here – Get in touch with us before 9:00am and we’ll do our best to fit you in on the very same day!